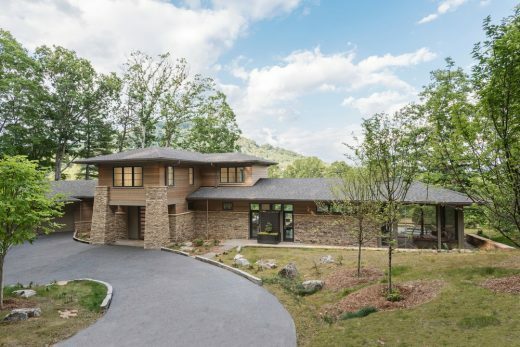 The architects drew inspiration from traditional prairie motifs and updated them for this modern home at The Cliffs at Walnut Cove. Throughout the residence, there is a strong theme of horizontal lines integrated with a natural, woodsy palette and a gallery-like aesthetic on the inside. The Walnut Cove Residence combines the clean lines and simplicity of modern design with the warmth and functionality of a cozy home. Members of ACTIVATE NC invite you to share your ideas on contemporary housing in the inner city. The site is located along South Mint Street in Charlotte, North Carolina. Charlotte has an intense and vibrant Uptown Center City surrounded by leafy suburbs. The competition site is within walking distance of the Uptown district and is representative of an in between zone that is neither Center City nor suburban. Thus it may be considered a resource for connecting different parts of the city that are currently separate. This is an ideas competition generated by the need for new ways of dwelling in our growing cities. The competition winners will be publicly announced in May 2016. 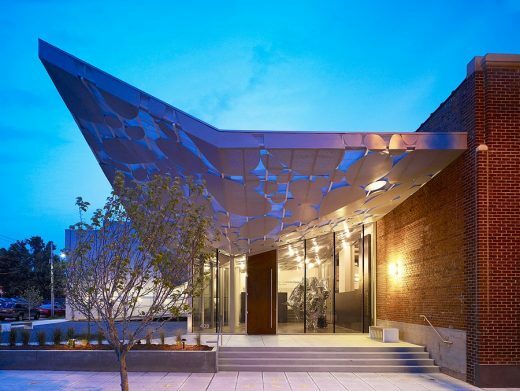 Entries will be displayed at the AIA NC Center for Architecture and Design as well as other venues throughout the state in the seven AIA NC Sections. 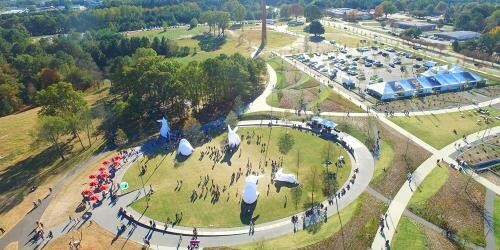 ACTIVATE NC is an outreach initiative of AIA North Carolina to strengthen the civic role of architecture and design in our community. Generous open spaces connect all floors of the building and open stairs emphasize an interactive and social environment alongside more focused study areas. A wide variety of study and learning environments, and technology-focused experimental labs break the now ubiquitous model of the learning commons. The Tryon Street Bridge is an important point of entry into uptown Charlotte. There is a sense of theatrical splendor that radiates from the assembly of high rise buildings seen from the bridge. The view appears as a stage set while crossing this key threshold. 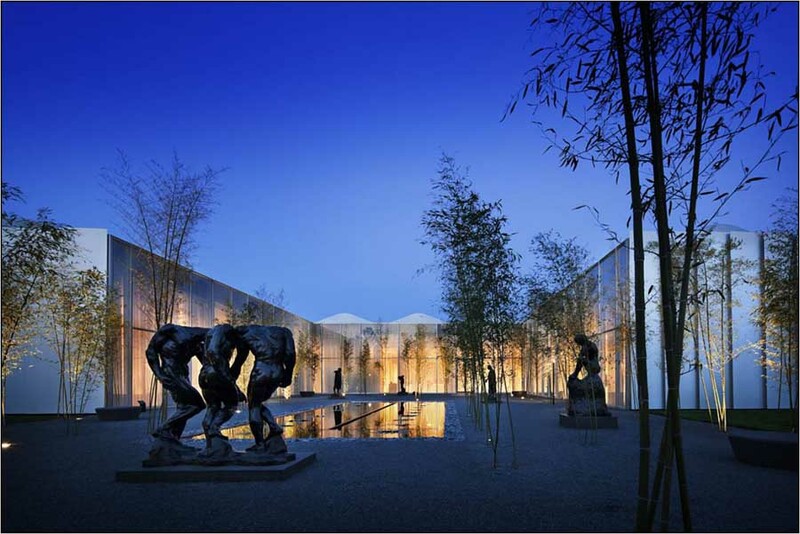 We’ve selected what we feel are the key examples of North Carolina Buildings, USA. We aim to include projects that are either of top quality or interesting, or ideally both. We cover completed North Carolina buildings, new building designs, architectural exhibitions and architecture competitions across the state. The focus is on contemporary buildings but information on traditional buildings is also welcome. The North Carolina Museum of Art’s (NCMA) new building, designed by the New York City-based Thomas Phifer and Partners, has been awarded a 2011 American Institute of Architects (AIA) Honor Award, the AIA’s highest recognition for building design. The 127,000-sqft, single-story project—one of only ten to receive the Honor Award for Architecture this year—was selected from hundreds of submissions worldwide. Terminal 2 is the world’s first major airport with a lenticular wood truss structure supporting the roof, which creates a warm, inviting passenger experience and a sense of place unlike any other airport in the world. Phase I opened in 2008 with 19 gates; Phase II adds 17 gates and features a soaring 96-foot-tall signature steel mast and canopy that welcomes passengers into a 60-foot-high arrivals hall, and a new south concourse beyond.